Looking For Inbound Marketing, Digital Marketing and Content Marketing Resources? Look no further than Simple Marketing Now's Resource Library! At Simple Marketing Now, we feel strongly about simplifying the 'getting started' with digital marketing, content marketing and inbound marketing process. For that reason, we have created Tip Sheets and Guides to answer common questions, offer guidance and share examples so you can get up-to-speed with digital marketing quickly. Click on Inbound Marketing, Digital Marketing and Content Marketing below to review the resources we've gathered - which you can download and explore in more detail on your own. Content Talks Business offers practical advice on how content marketing, digital marketing and inbound marketing can help your business get found online. The Social Flooring & Home Index provides perspective from professionals in the tile and flooring industry on how to apply content, social media and inbound marketing. Please let us know of questions! 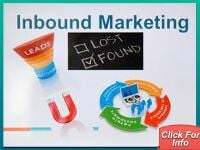 Click Here for Inbound Marketing Resources! 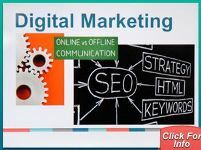 Click Here for Digital Marketing Resources! 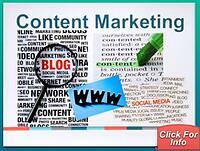 Click Here for Content Marketing Resources!